Embrace Child Victims of Crime is delighted to be named Sandiacre Town Cricket Club’s charity partner for the coming season. Based in Derbyshire, the large community cricket club fields four senior teams and has boys and girls of all ages playing at junior level. 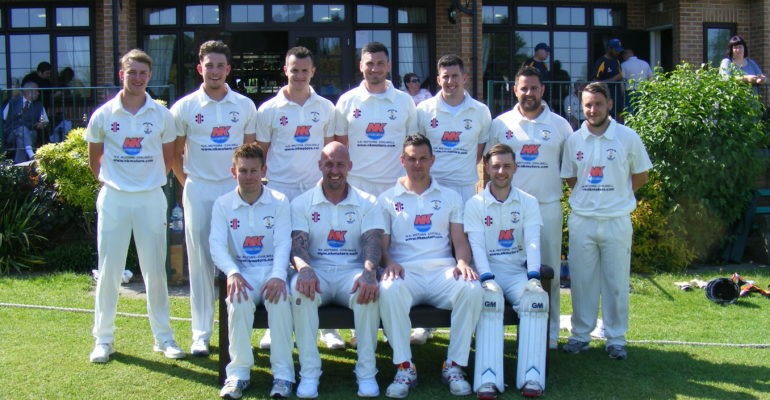 The club has chosen to fund-raise exclusively for the charity over the course of the season having been suggested by 1st team player and club stalwart John Jordison a Detective Constable at Derbyshire Police. This is the clubs first year supporting a charity and everyone at the club is keen to raise as much as possible to help make a difference to young lives who have been affected by serious crime. Peter Trembling, who has played at the club for over 25 years said: “It is a privilege to be able support this fabulous charity and the work they are doing. Our contribution to Embrace won’t change the world but hopefully as a club we will be making a small difference to the lives of children who are the innocent victims of crime”. Embrace Child Victims of Crime (CVOC) is a national children’s charity solely focused on delivering emotional, practical, specialist and cheer-up support to children and young people, and immediate families, affected by serious crime including homicide in all its forms, violent crime and sexual abuse. Embrace aims to help young victims deal with trauma, replace bad memories with good, and to go on to lead healthier, happier and more productive lives. On Sunday 7 April 20 club members will be running the Derby 10k to raise funds and awareness for their chosen charity. Embrace Chief Executive Anne Campbell said: “It’s wonderful that Embrace has been chosen as Sandiacre Town Cricket Club’s charity of choice this season and to know how much effort its members are putting into fund-raising – money that will go directly to help children in our local communities recover from the most terrible crimes.